Background/Purpose: The 2015 ACR/ARHP Workforce Study assessed the current and projected rheumatology workforce and the regional distribution of rheumatologists. Over the next 10 years, a declining rheumatology workforce resulting from significant “baby boomer” retirements, millennial ascendency and a gender shift toward women will be met with an increasing patient demand. We analyzed regional workforce differences and retirement trends within the context of population expansion to better understand the impact of workforce changes in the decade of 2015-2025. Methods: The 2015 ACR/ARHP Workforce Study was completed using several primary and secondary data sources, including the ACR member database, state licensure registries, 2005 ACR workforce study results, professional organization information and peer-reviewed literature. These data were supplemented with a web-based survey assessing work settings, practice patterns, retirement planning and demographics. A clinical FTE was defined as 1.0 FTE for private practice and 0.5 FTE for academic practice to determine rheumatologists actually treating patients vs. total number of physicians. Population growth estimates were obtained using U.S. Census Bureau data. Results: The U.S. ranks 3rd in projected population growth in the world with an anticipated growth of 16.5% by 2030. Thirty-two percent of ACR members responded to the survey (1996/6342).The highest concentrations of rheumatologists are found in the Northeast and Mid-Atlantic regions (Table 1). Response rates ranged from 17% in the Northeast to 54% in the Southwest/South Central regions (Table 1). The estimated total number of rheumatologists in the U.S. workforce in 2015 by FTE is 4,933 with a projected decrease to 3,645 by 2025. Combining the projected growth rates by region coupled with the projected retirement rates, the three regions with the greatest increase of adult to physician ratio would be the Northwest (148%), North Central (136%), and South Central (102%) (Figure 1). The overall adult-to-physician is projected to be 99,177 by 2025 (Table 1). Conclusion: There is a regional maldistribution of rheumatologists in the United States, and disparities will increase with anticipated retirements and regional population growth estimates. The South Central, North Central and Northwest regions will experience the greatest change in population to provider ratios. The challenge of an increasing demand for rheumatology care requires novel solutions, processes and a multidisciplinary approach to ensure timely access to care for rheumatology patients. Disclosure: K. Lawrence-Wolff, None; B. Hildebrand, None; S. Monrad, None; M. Ditmyer, None; J. Fitzgerald, None; A. Erickson, None; A. R. Bass, None; D. Battafarano, None. Lawrence-Wolff K, Hildebrand B, Monrad S, Ditmyer M, Fitzgerald J, Erickson A, Bass AR, Battafarano D. 2015 ACR/ARHP Workforce Study in the United States: A Maldistribution of Adult Rheumatologists [abstract]. Arthritis Rheumatol. 2016; 68 (suppl 10). 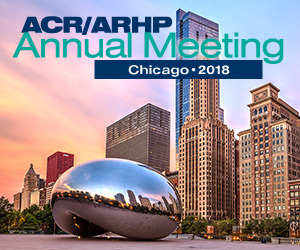 https://acrabstracts.org/abstract/2015-acrarhp-workforce-study-in-the-united-states-a-maldistribution-of-adult-rheumatologists/. Accessed April 18, 2019.